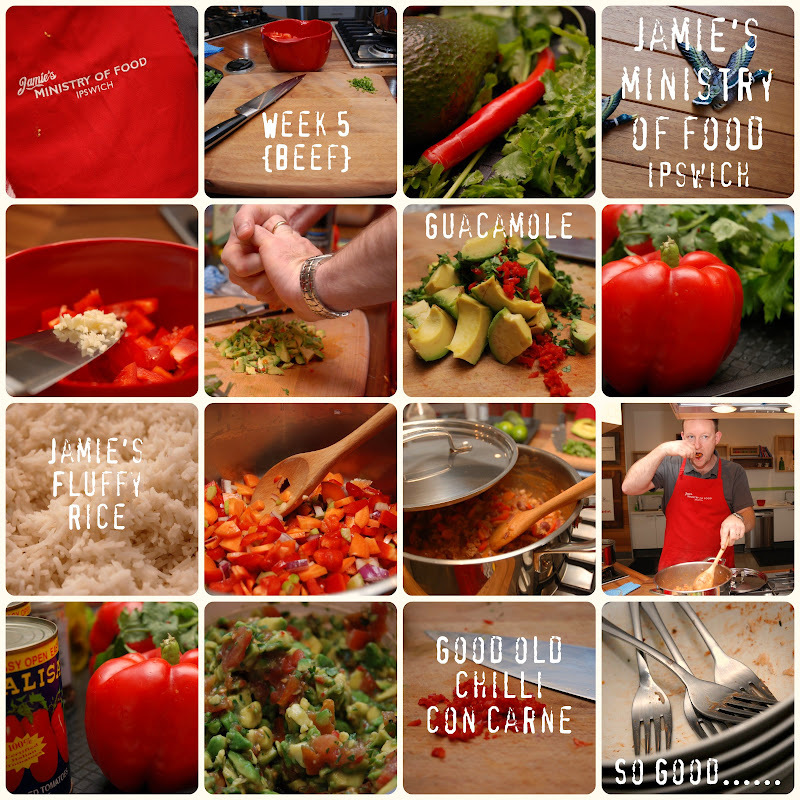 This week on the menu was – Good Old Chilli Con Carne, Guacamole and Fluffy Rice. Let me start by saying – SO SO GOOD!! This was so out of my comfort zone and I am a little proud for diving in head first and not whinging!! I always thought I didn’t like chilli, beans or coriander. Well…… now they are my new best friends!!!! We made the quickest, tastiest guacamole all on the chopping board (no bowls for washing up) and again SO GOOD! After cooking we headed over to Mum and Dad’s with dinner for everyone. My wonderful parents look after Ben while we cook. We had a feast to share this week. Bowls full with Chilli Con Carne, Rice, Guacamole, and natural corn chips (the corn chips added for Ben to make it more appealing for little ones). It was such a hit! Seriously the tastiest meal I have had in some time – the flavor……yum!! I can’t wait to cook it up for friends (or Andrew can cook it and I can relax). So who’s up for dinner? You can get the recipe from here. 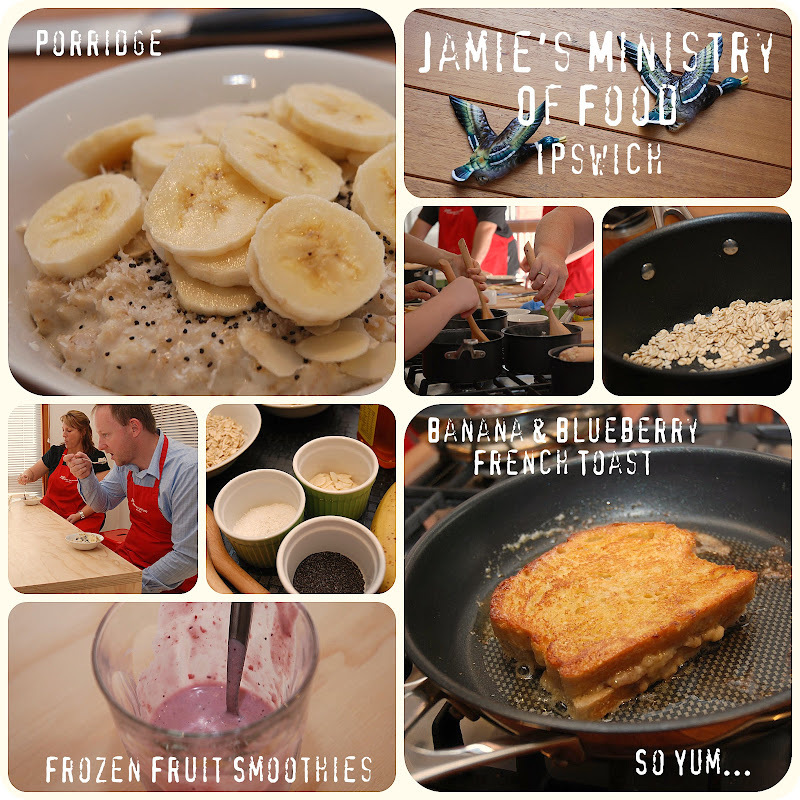 Porridge, Frozen Fruit Smoothies and Banana & Blueberry French Toast were on the menu this week – I have never really made successful porridge before (not counting microwave porridge, real porridge in a pot!). We love a good smoothy in our house ( but normally get them from Boost Juice). But I do make a mean french toast with thick sliced tomato! But of coarse in true Jamie style his recipes are a little different and always include a twist on what is the ‘norm’. Andrew and I didn’t really have success with our porridge in class. We didn’t cook it enough and it was a little chewy – Not so pleasant to eat! Jamie’s smoothies have oats and nuts in them. It gives a very different texture. Andrew liked it…. I’m not so sure. But OH MY GOODNESS the french toast is to die for. It is definitely a sometimes food but a french toast sandwich with blueberries and banana….. so good!!! I was determine not to let the porridge beat me so this morning it was porridge for breakfast. Ben was keen to help – he chopped the banana with his special knife. He did keep asking me to clean his knife but I just kept telling him it was ok…. it was just banana. At one point he wandered off and was found in the bathroom cleaning his knife on his bath towel….ewwww!!! Not sure what he was thinking but we had a little chat about that!! Once the porridge was cooked Ben was not so keen on it anymore and the drama began. We have a rule in our house…… you have to try all new foods!! If you really don’t like them (after five mouthfuls) you don’t have to eat them. We all sat up at the table eating our porridge. Well Andrew and I were eating and Ben was examining his with his magnifying glass! I am sure he was hoping it would miraculously disappear. 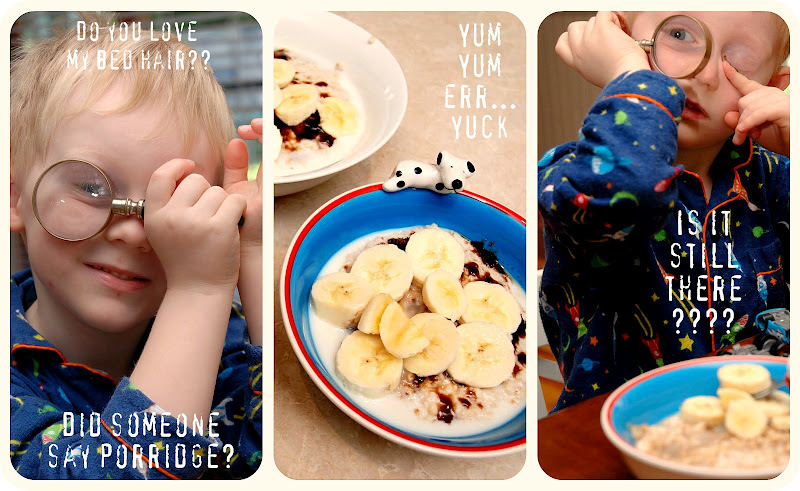 He did eat all the banana and brown sugar off the top and a little porridge……. will give it another go next week. Andrew and I both loved it!! 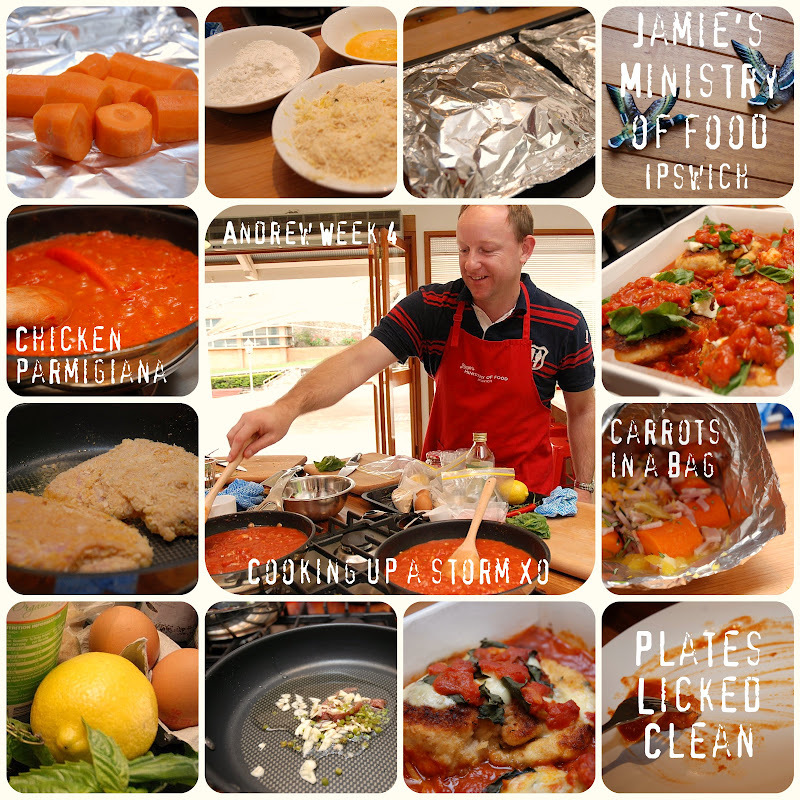 Next week Chicken Parmigiana and carrots in a bag ….